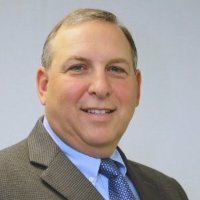 Michael L Zola, CPA a senior financial executive and business owner with over thirty years of experience in the practice of accounting, tax and finance. After graduating from Rutgers University in 1980 Mike spent his early career working with a certified public accounting firm in his home state of New Jersey. The firm handled all the accounting, reporting and tax filings for small professional service firms and family owned small businesses in the region. Mike’s early career also includes stints with manufacturers in the household cleaning products and food and beverage industries. Beginning in April 1990 Mike took a position as Controller for Porter Novelli, Inc., a New York based global public relations agency. Mike was the first Controller hired at the Agency. The finance, accounting and tax systems for this $40M agency were designed and implemented under his leadership. All elements of controllership management, system design and implementation, business process, tax, treasury, and financial reporting were developed under his term as Controller. As the agency grew to $160M during his time there, so did the complexities of the financial infrastructure requiring the addition of professional and associate staff, most of whom were hired by Mike and trained on the processes he put in place. In 1996 Mike was responsible for the selection, design and implementation of financial systems at Porter Novelli. The financial, time tracking and resource management systems he implemented continue to be the corporate accounting systems serving Agency offices in the US, Latin America, Canada, Europe and Asia to this day. Many of the Agency’s offices were acquired while he was with Porter Novelli. Mike was the project leader for acquisitions during his term and was responsible for the integration of Agency operations. Mike left Porter Novelli in 2008, deciding to go back to his roots in public accounting. He started his firm, MZ Consulting and has been actively managing this agency to provide practical business solutions to a growing client base. The firm’s objective is to establish growth through a wide range of service offerings and dedicated client service. Mike is an executive with expertise in administration and strategic financial leadership, an organized leader with the highest degree of integrity and ethics. Mike lives in Rutherford, NJ with his wife, Melissa. Mike is the proud father of one son, Ryan who lives in Oakland, NJ. Mike enjoys spending time at the Jersey shore with his family and playing golf whenever he has the opportunity.